Virginia Tech athletics director Whit Babcock, not wanting to make the postgame following the Hokies’ 23-20 win at Virginia all about him, of course made the presser all about Whit Babcock. “I’m not even sure this is the right thing to do,” said Babcock, at least relating that he understood that jumping out in front of Beamer’s final ACC press conference was at best mildly inappropriate. 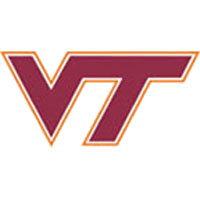 But Babcock needed to shoot down the rumors that had begun swirling before the 12 noon kickoff that Tech has agreed in principle with Memphis coach Justin Fuente as the successor to Beamer. Those rumors had to come from somewhere, of course, and it’s not likely they came from Fuente’s camp, since he had a game to coach on Saturday himself, and the reports on his imminent hiring had it such that he hadn’t yet informed Memphis of his decision. One could view Babcock sitting there in front of a throng of Virginia media in the bowels of the stadium of his rival, which itself is likely to be searching for a new head coach, once UVA athletics director Craig Littlepage finds that place deep down within himself to finally admit that his decision to hire Mike London in 2009 without interviewing any other candidates was a colossal mistake, as Babcock saying, in effect, Nyah-nyah-nyah-nyah-nyah, nyah, I’ve got a coach, and you don’t. “I’m aware of the rumors that broke. They are not official at this time. Even on principle, I wouldn’t do that. I wouldn’t do that before Coach Beamer’s last game,” said Babcock, expecting the assembled media, presumably, to feel duly admonished, except that, hey, did he just say that the rumors “are not official at this time”? So that means the rumors will be official at some other time, then, correct? And the point to this awkward Babcock-block was, what again? “When the time comes to speak to this matter further, I’ll do that,” Babcock said. “Again, I respect the job that you all have to do, but I just wanted to say that. There is nothing official here. The post-Beamer era is already off to a rollicking good start.